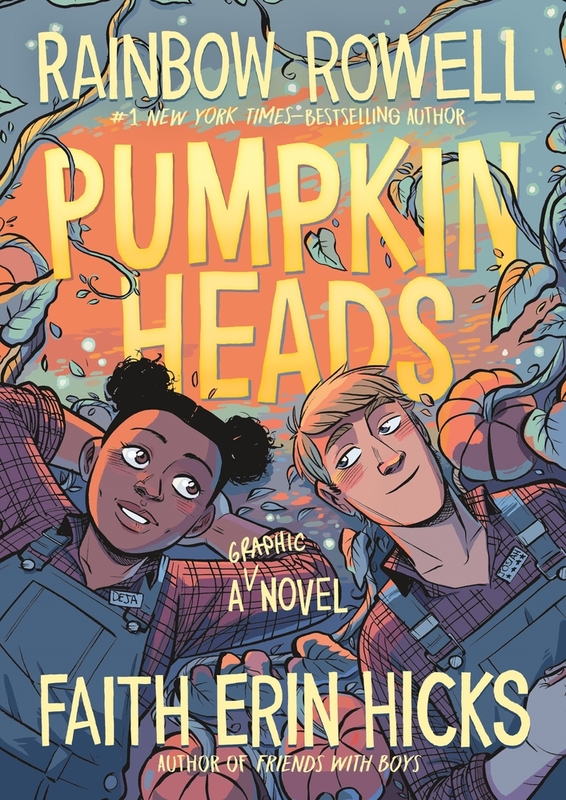 In Pumpkinheads, beloved writer Rainbow Rowell and Eisner Award–winning artist Faith Erin Hicks have teamed up to create this tender and hilarious story about two irresistible teens discovering what it means to leave behind a place—and a person—with no regrets. Deja and Josiah are seasonal best friends. Every autumn, all through high school, they’ve worked together at the best pumpkin patch in the whole wide world. 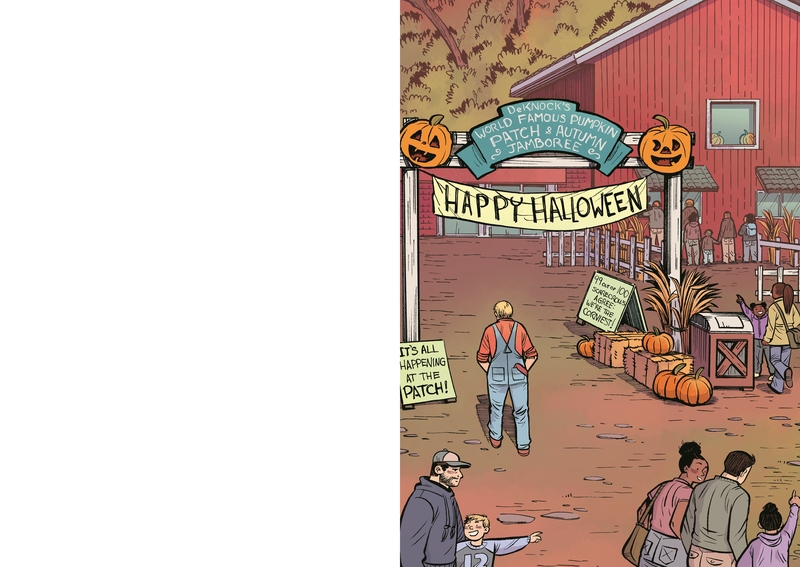 (Not many people know that the best pumpkin patch in the whole wide world is in Omaha, Nebraska, but it definitely is.) They say good-bye every Halloween, and they’re reunited every September 1. 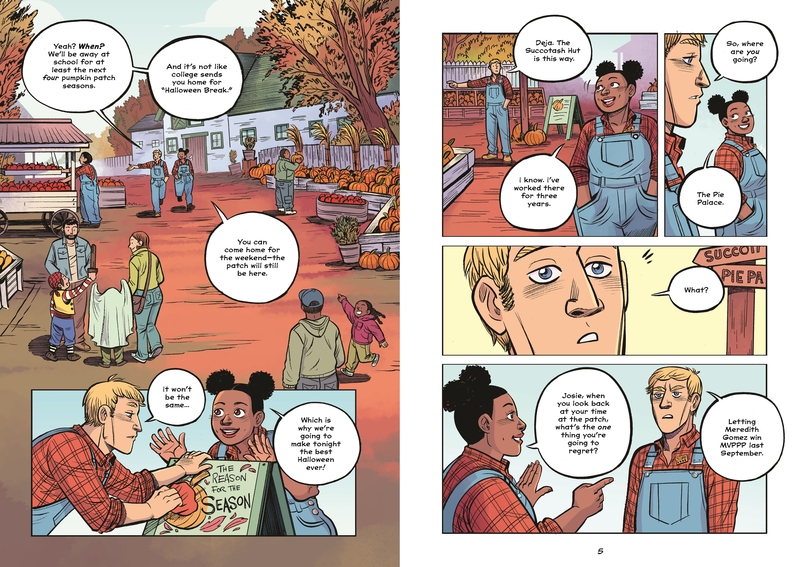 But this Halloween is different—Josiah and Deja are finally seniors, and this is their last season at the pumpkin patch. Their last shift together. Their last good-bye. Josiah’s ready to spend the whole night feeling melancholy about it. Deja isn’t ready to let him. She’s got a plan: What if—instead of moping and the usual slinging lima beans down at the Succotash Hut—they went out with a bang? They could see all the sights! Taste all the snacks! And Josiah could finally talk to that cute girl he’s been mooning over for three years . . .
What if their last shift was an adventure? 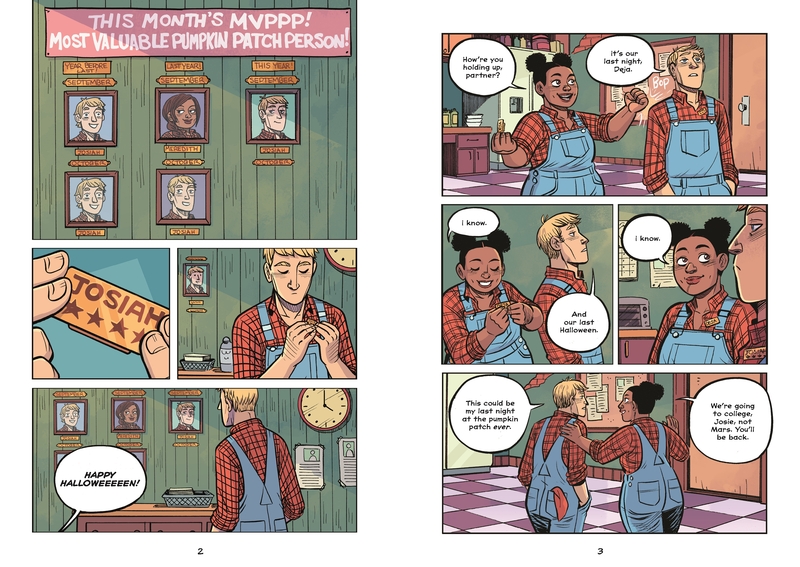 Rainbow Rowell is the award-winning, No. 1 New York Times–bestselling author of Eleanor & Park, Carry On, Wayward Son, and more. She made her comics debut as the writer of Marvel’s monthly Runaways series. 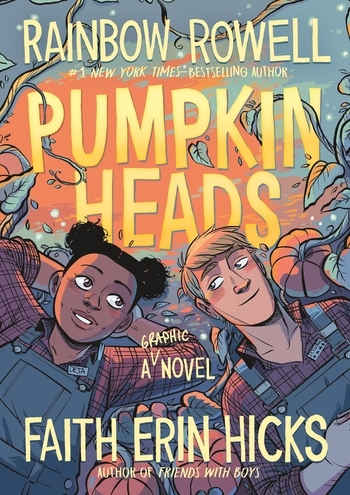 Pumpkinheads is her first graphic novel. Rainbow lives and writes in Omaha, Nebraska, home of the world’s best pumpkin patches. 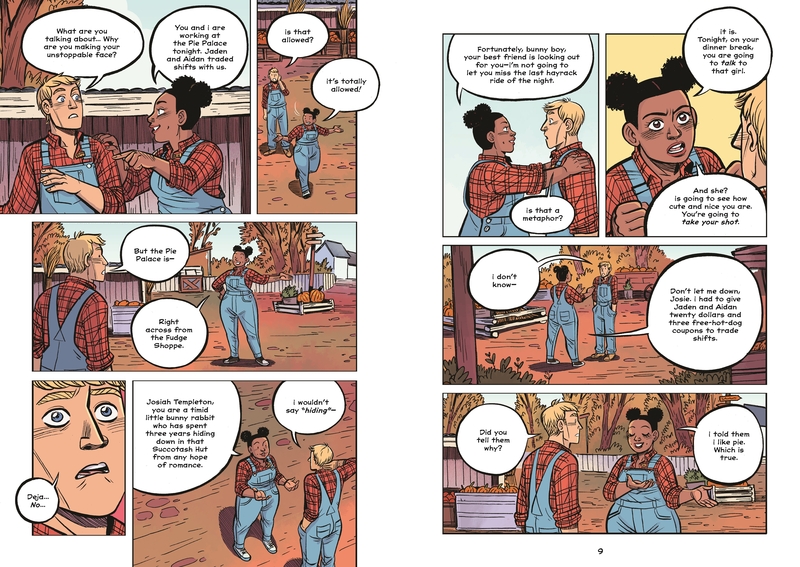 Faith Erin Hicks is a writer and artist living in Vancouver, British Columbia. 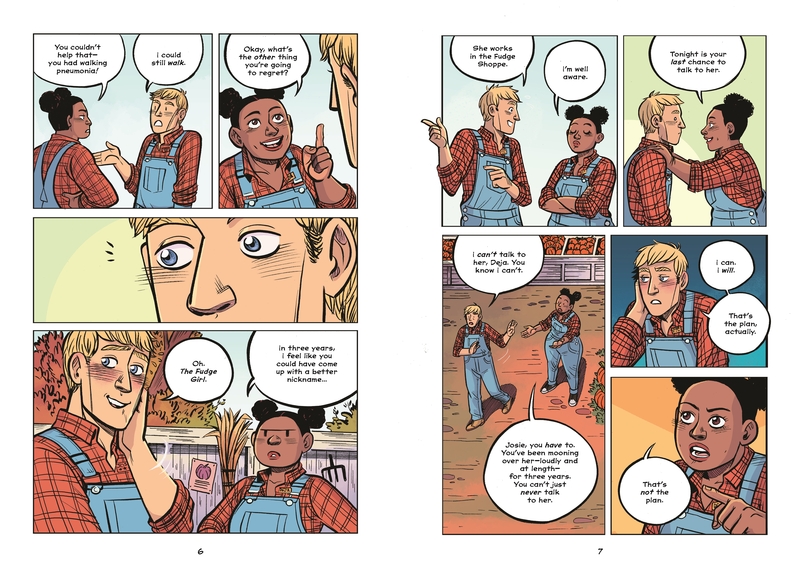 Her previous works include the Nameless City trilogy, Friends with Boys, The Last of Us: American Dreams (with Neil Druckmann), Nothing Can Possibly Go Wrong (with Prudence Shen), and the Eisner Award–winning The Adventures of Superhero Girl. She can be found online!